Petal Pole Marquee Hire in Surrey for events such as weddings, garden parties or corporate functions. 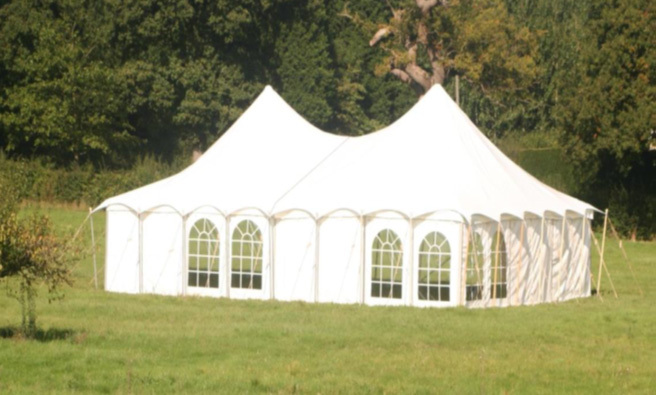 This beautiful marquee has a scalloped canopy and scooped ridge line with wooden poles. 9M x 15M unique structure showing the best features of a traditional marquee with an eye catching finish. Our experience ranges across both small and large events, both low key and high profile. 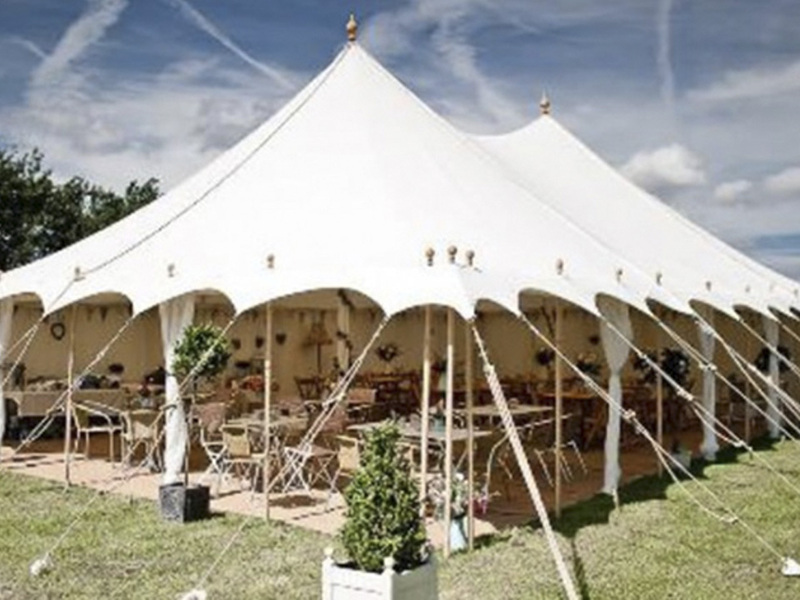 Take a look at our past events page and clients to view our marquees and tents in action. 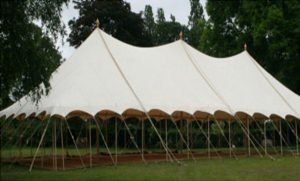 For a Hire quote, either for an event in Surrey or the home counties, contact us on +44 (0) 1483 210142 or via our Contact page. We can supply further afield as well if required.